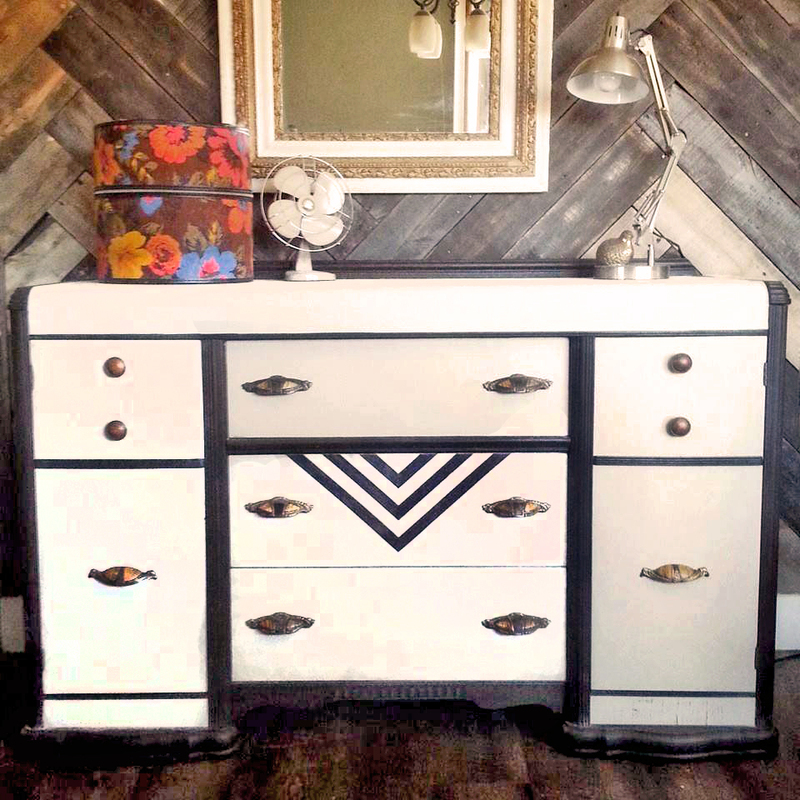 Charming two-toned sideboard by De-uglied designs! The trim was finished with Java Gel Stain, pair it with our Antique White Milk Paint to recreate this classic look. "I thought refinishing the trim on this sideboard would be a terrible amount of work, but the General Finishes Java Gel Stain made it a piece of cake. I've been wanting to try it forever, and it definitely lives up to the hype."